The Coconino National Forest is bringing a new series of free, family friendly activities to learn more about the great outdoors as part of the nationwide Latino Conservation Week. The awareness week supports Latinos in outdoor recreation and natural resource conservation. 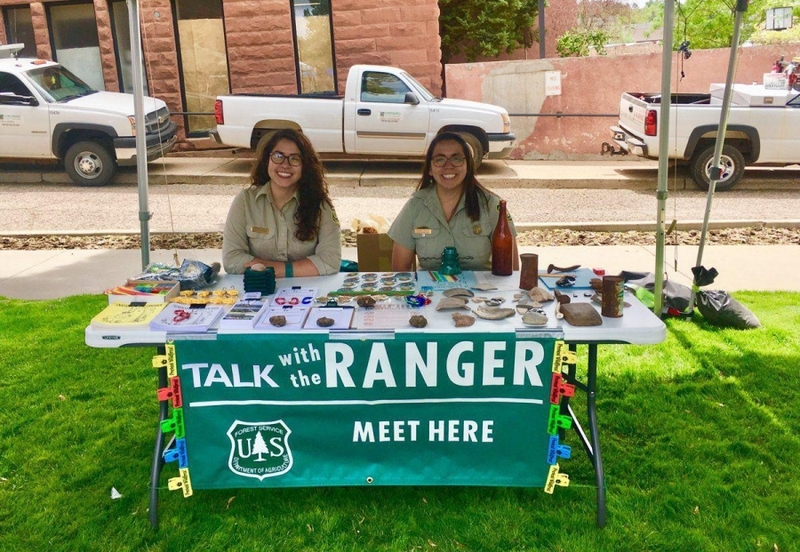 The Sun spoke to local organizer Estephany Campos, lead interpretive ranger for the Coconino National Forest. How did you help bring Latino Conservation Week to Flagstaff? Campos: Originally I was contacted by the Arizona Trail Association as someone who could help with outreach to Latino folks. That’s how I found out about Latino Conservation Week. It’s only my second season working with the Forest Service, and I’ve been working with another Forest Service employee, Bridget Roth, to try to diversify our audience, so this is the perfect opportunity. One of the main reasons the Latino community doesn’t come out is resources -- there’s no transportation, parents are usually always working, so it’s very difficult. I’m partnering up with Market of Dreams and Latino Outdoors. The first event is going to be a booth at the weekly farmers market and we’ll be doing outreach and meeting the community. How did your own experiences outdoors inspire you to reach out to others? Campos: A lot of folks don’t know that these opportunities exist. I didn’t. I grew up in South Central Los Angeles, in a low-income Latino community. I grew up in a family where both my parents were immigrants from Mexico and they were working all the time or they didn’t really know about the outdoors or didn’t have a connection to the outdoors. I was always fascinated by science, and I wanted to be an environmentalist, and I wanted to work outside, but that was me as a kid. I realized I have to make an effort to go outside to learn more about the natural world, which is why I think it’s important for the Forest Service to have a presence somewhere in the Latino community. It’s not in the forest, it’s a parking lot or a community center, but this is just the start to plant the seed. A lot of it stems from my background and seeing the lack of diversity in my office and among forest visitors. It led me to believe that there was something missing, that there was definitely a gap. There needs to be an extra push for outreach to these certain communities. This has become my personal project now. My heart has always been in this -- being inclusive and making things accessible for communities like the one I grew up in. It just hits home. Are interpretive signs and guided hikes available in Spanish? Campos: I have a group of volunteer rangers who lead hikes -- known as the Roving Rangers -- and it’s an interpretive partnership between the National Park Service and the National Forest. We’re a group of about 10-15 folks, and every weekend we have free campground talks at three of our local campgrounds and we host hikes sometimes. So during these hikes, I have gotten requests for Spanish. There was a family from Colombia who asked Snowbowl if they could provide a Spanish-language talk up there -- and who else but me? Usually we walk around the campground and we announce our program, and I’ve heard families speaking in Spanish, and I approach them and I talk to them in English first and then I’ll hear some murmuring and then I’ll be like, “I speak Spanish,” and they’re surprised. I say if they need translation, I will translate. I think that’s something only I can do because I’m the only Spanish speaking ranger. What’s your favorite way to enjoy the forest? Campos: I like going on long hikes with good company. Being outdoors has a good, huge impact on my mental health. It’s kind of like an escape, a good, deep breath.